Solar power is becoming the norm in many regions of the country. Now, you can even install solar panels on your roof to heat water delivered directly to a storage tank. The plumbing industry is continually innovating for the better. Homeowners and businesses seeking cost-effective water heating solutions are living in the best time. Solar water heaters, also known as solar domestic hot water systems, are a cost-effective solution to generate hot water for an entire household. These systems may be used in any climate, and sunshine – the primary fuel source – is entirely free! Your average solar water heating system includes a storage tank and a series of solar collectors – mounted on the roof or otherwise. There are two types of systems: active, which uses circulating pumps and controls, or passive, which does not. Either one is a smart choice for today’s homeowners. Most solar water heaters require a well-insulated tank. Each tank has an additional outlet and inlet connected to and from the collector. In a two-tank system, the water heater preheats water beforehand. In a one-tank system, the backup heater is combined with the storage in a single tank. Depending on space requirements, you may opt for either setup. There’s no wrong answer here! Overall, solar-powered heating solutions are becoming an efficient and cost-effective tool. Those who make use of such a system often enjoy exponential savings throughout the year. Your cost of installation will be quickly recouped over time as your monthly utility bills will decrease. If you’d like to take advantage of solar water heating, contact Emergency Plumbing & Solar by calling 808-691-9309. 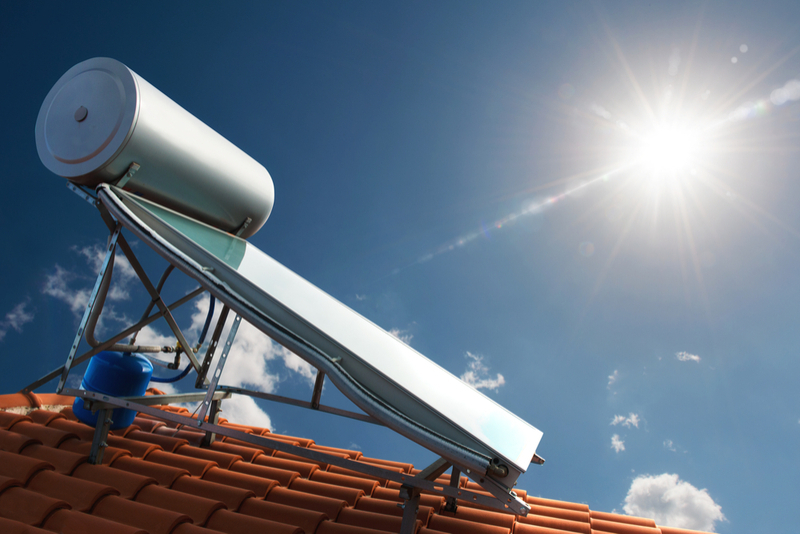 We’ve witnessed firsthand the benefits of solar water heating systems, and we know you’ll love them, too! Solar Water Heater Systems Overall rating: 5 out of 5 based on 10 reviews.